It pulls a chaotic world to one single point in every moment of life. Even though gravity is everywhere and unending, for most of the universe, vast empty space dominates, leaving us free from gravity’s tether. Is the weightless state a moment of true autonomy, or does the ungrounded body simply lose control? Orbit Weaver is a series of imaginative interactions with moving bodies in zero gravity. The project aims to understand, create, and share the beautiful and sentimental moments of being weightless and lost in outer space. 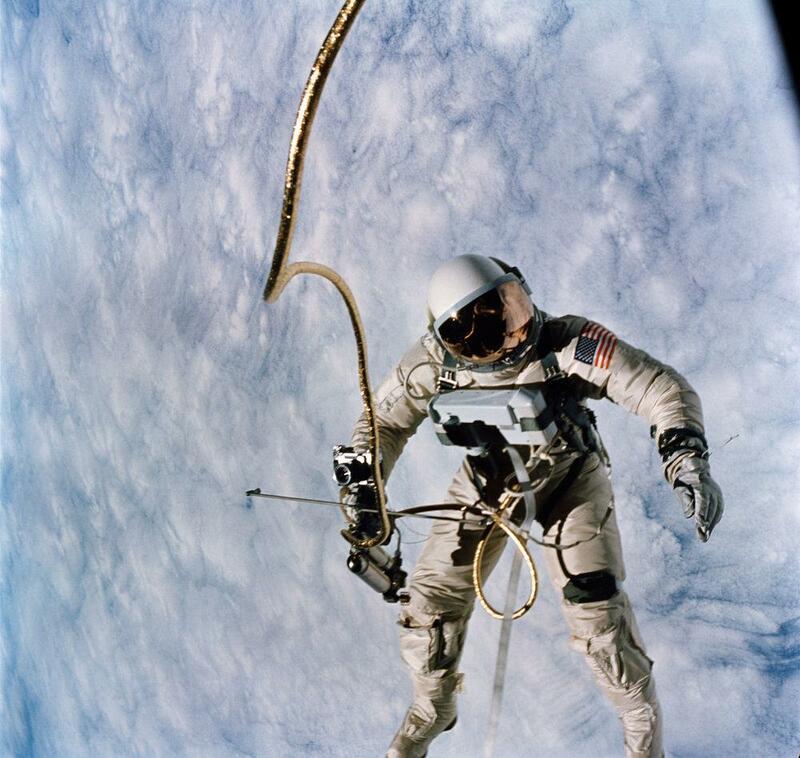 Clasping the cold-gas maneuvering gun in his right hand, and trailed by a snake-like tether, Ed White tumbles over a cloud-speckled Earth during the United States’ first EVA. 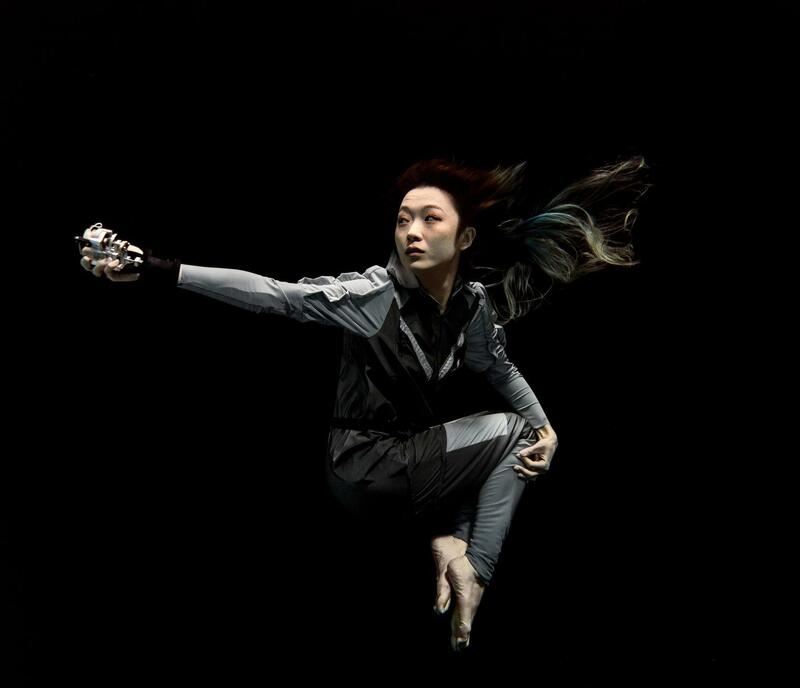 Inspired by the three-dimensional mobility of arachnids, Orbit Weaver uses a hand-held device to regain control of her body and move freely through a weightless space. The device shoots the string out with a magnet on the tip. Once the magnet is attached to the surrounding surfaces, the device will rewind and drag the wearer with minimal impetus due to the zero gravity environment. With the apparatus, the wearer will be transformed into a “spider woman,” weaving her web in space. 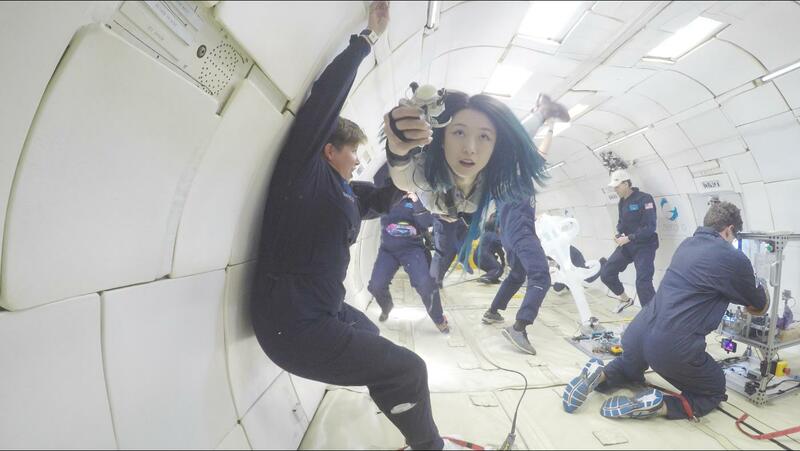 The first performance of Orbit Weaver was on November 17th, 2017 in the parabolic flight operated by Zero-G Corp. During each zero gravity period (~20 seconds), Orbit Weaver performed the shooting and winding of strings and dragged her body forward. This performance was part of the inaugural parabolic flight launch initiated and supported by the Space Exploration Initiative, MIT Media Lab.